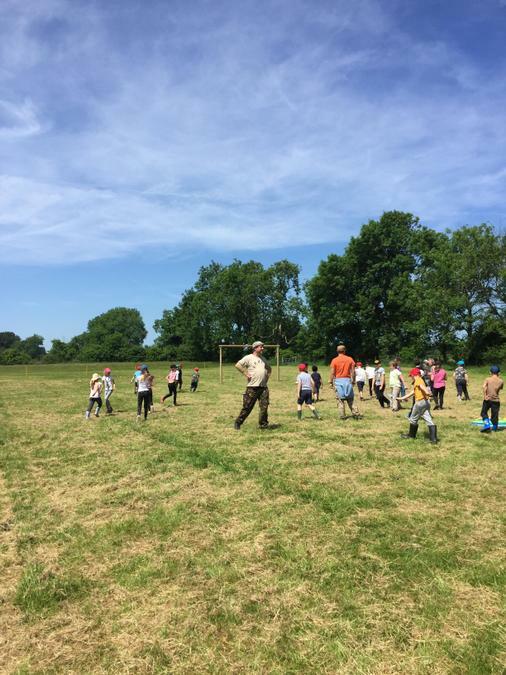 Welcome back to Term Six! 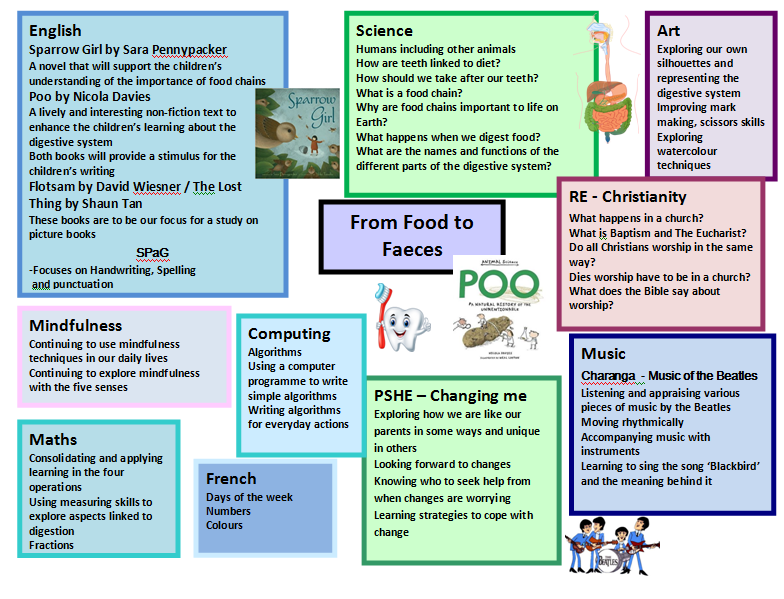 Our topic for this term is 'From Food to Faeces' below is our topic web so you can see what we will be getting up to. 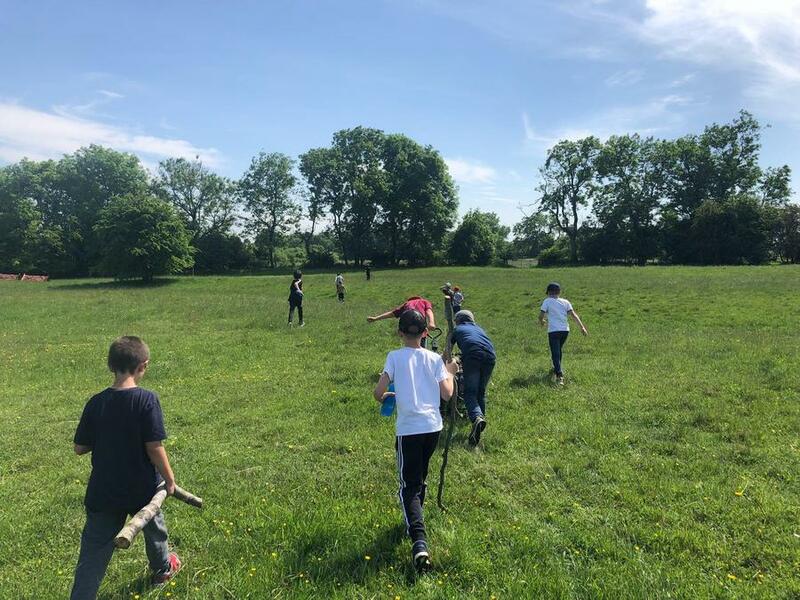 Another lovely week of sunshine, we have been luck enough this week to spend some time out in the sun continuing to practise for sports day which takes place on Thursday 13th July from 1:30pm to 2:50 pm we look forward to seeing you there! 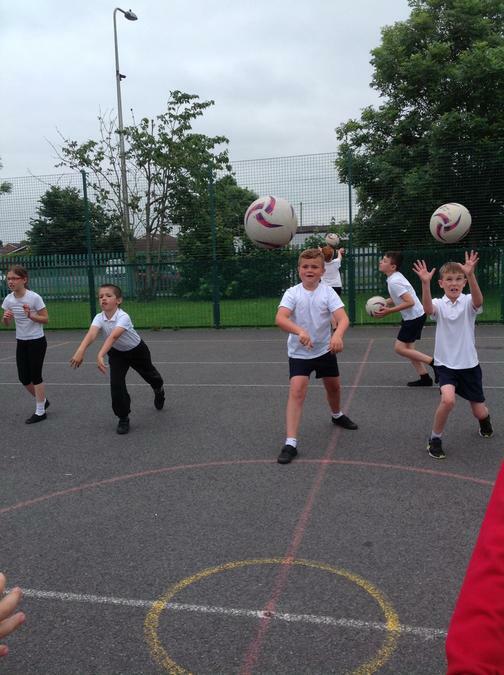 Next week please make sure your child has their PE kit and a water bottle in school everyday as it is sports week. 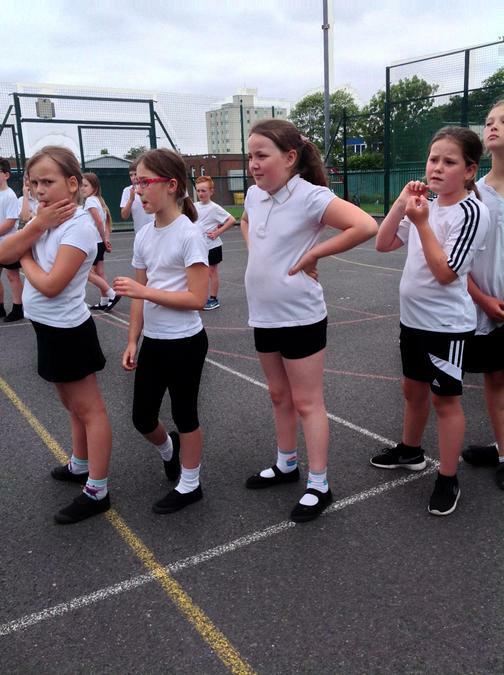 On Thursday they will need a coloured t-shirt to match their teams county along with their shorts and daps from their P.E kit. 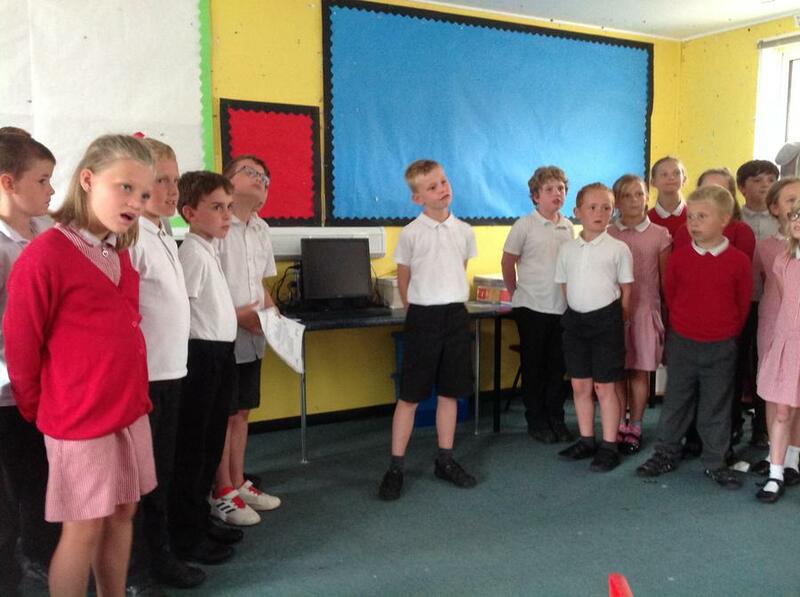 On Thursday this week, each class showcased a performance poem they had been working on to the rest of the school. 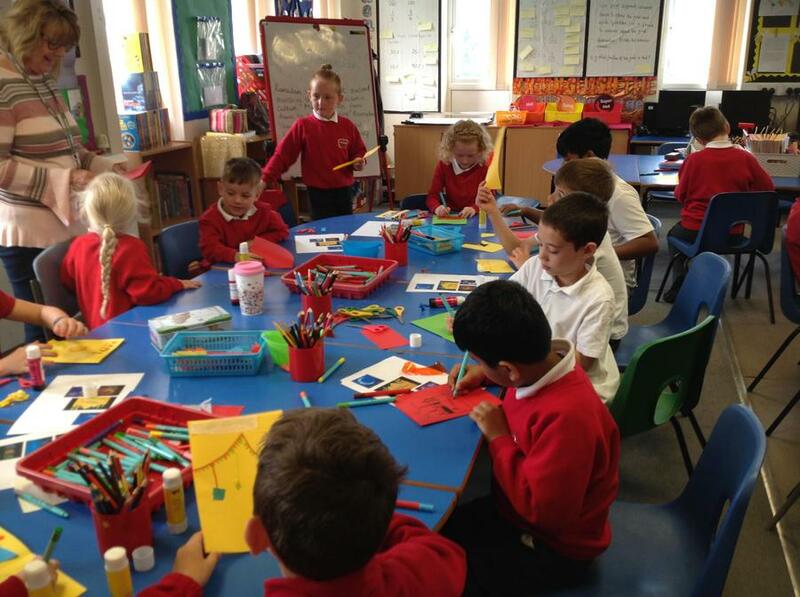 We had really enjoyed preparing our poem together, thinking about how we could make the poem come to life and present it in a professional way. 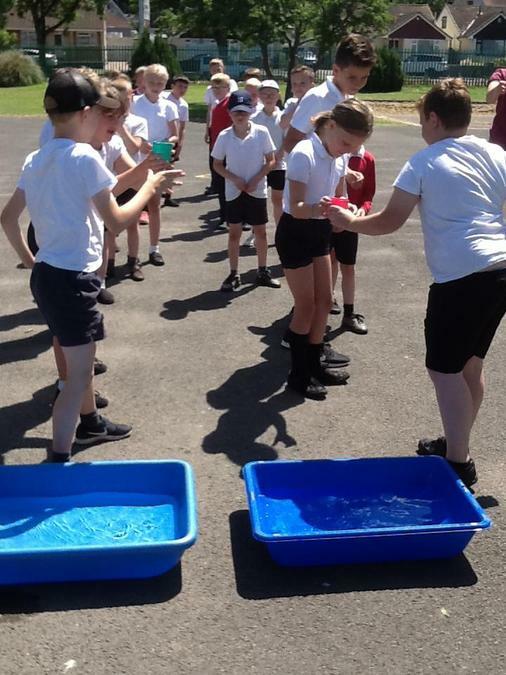 We were so pleased with the feedback and comments after our performance because we had so much fun putting it together. 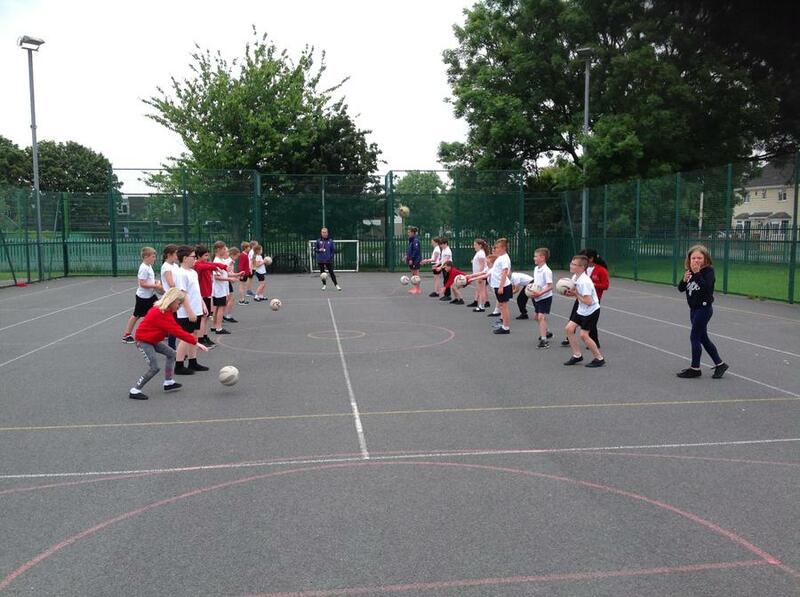 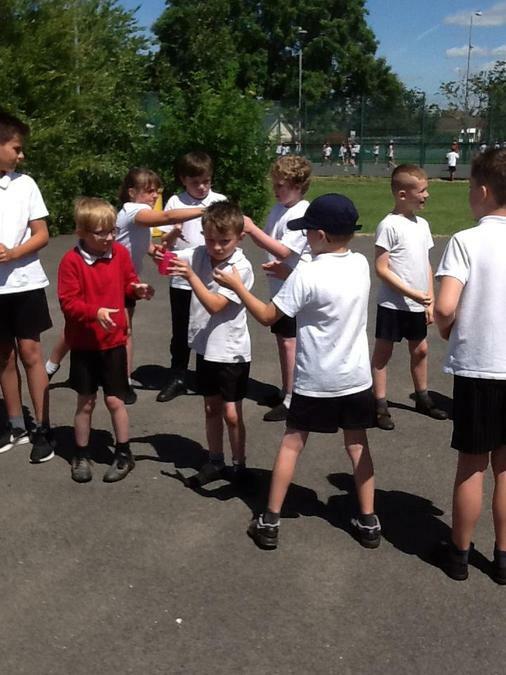 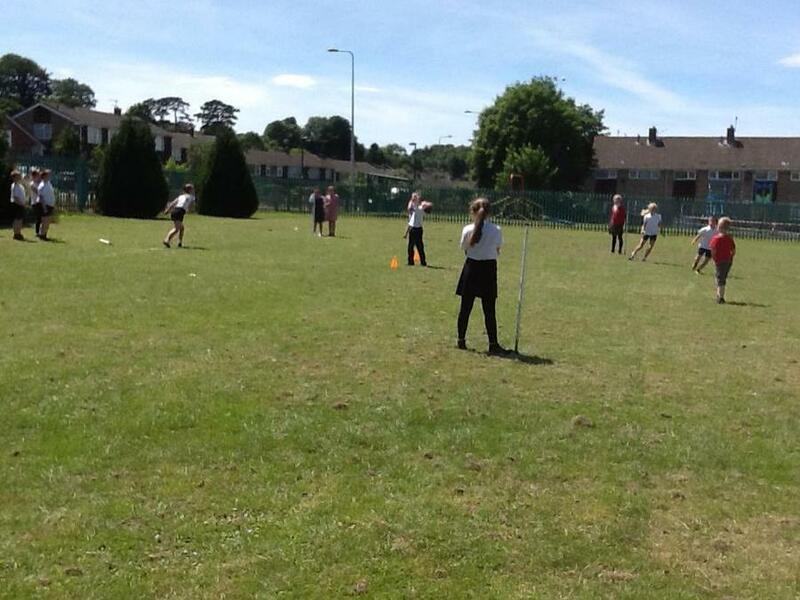 What beautiful weather we have had this week, in Year four we have been super busy preparing for our up coming sports day, we have been continuing to work on our skills and always supporting and encouraging each other. 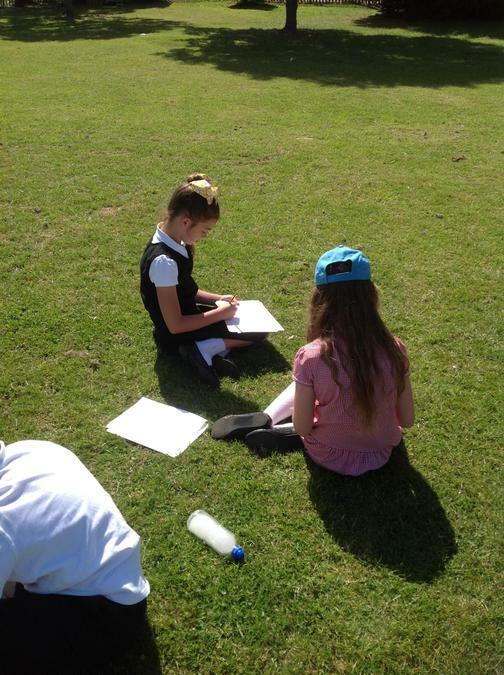 We have also been busy completing our assessments to show the progress we have made over the year. 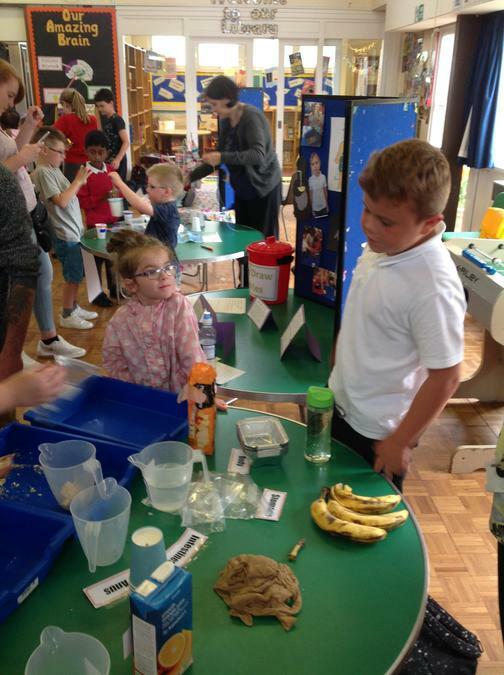 After school on Wednesday, we had our science fair in the school hall. 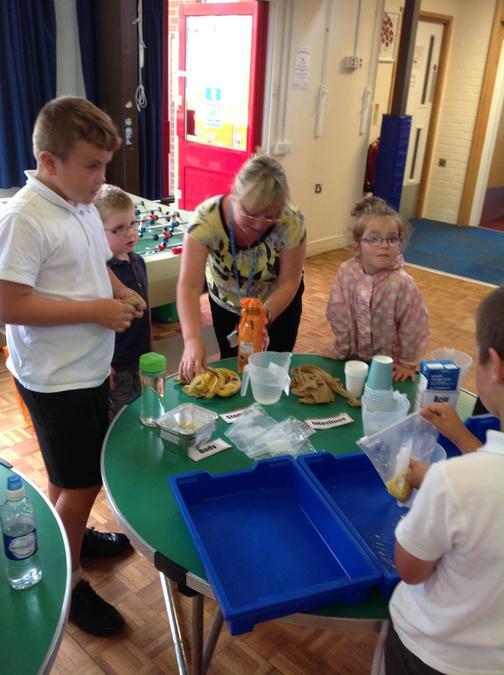 Showing our work about the digestive system and giving people the chance to have a go at putting some food and liquid through the digestive system. 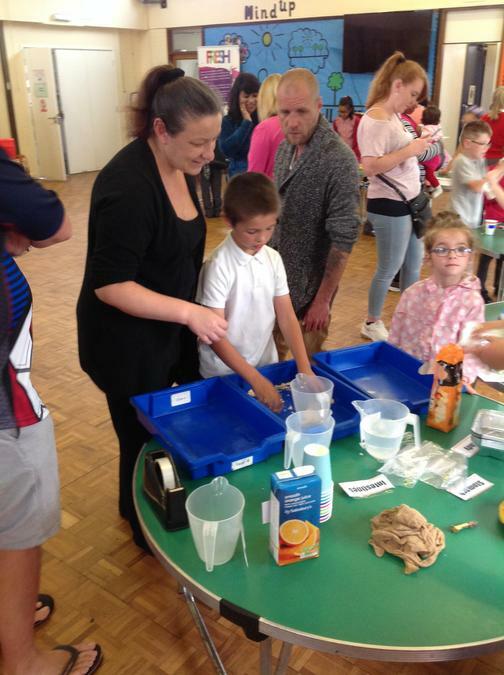 We hope if you came along you enjoyed our experiment as much as we did as a class last week. 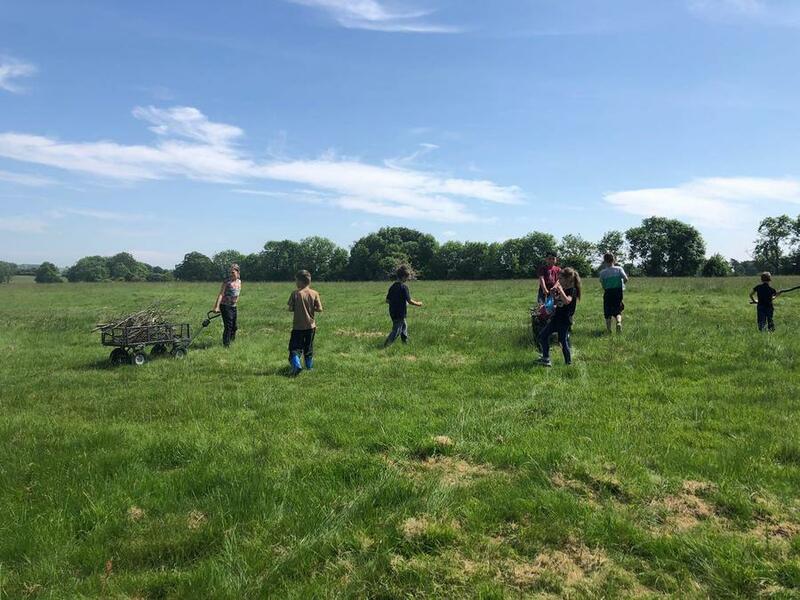 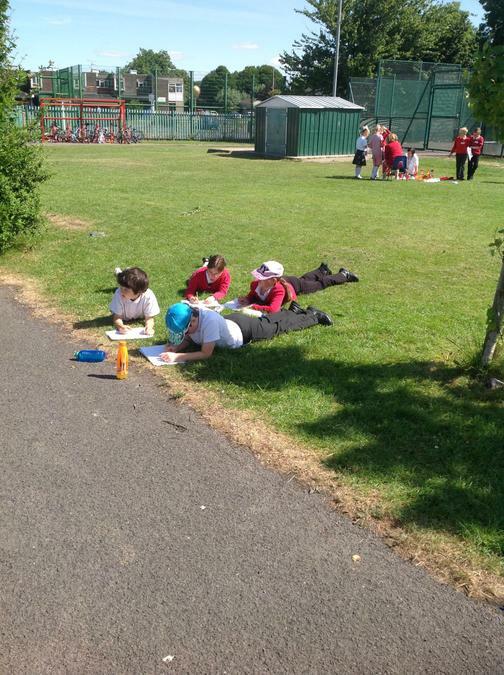 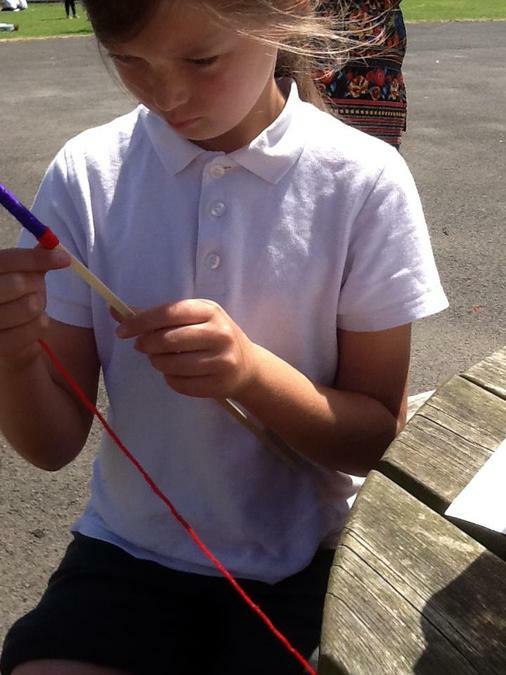 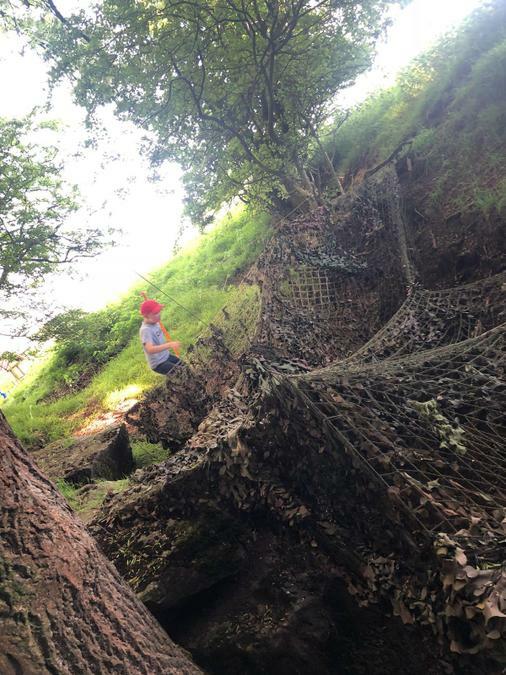 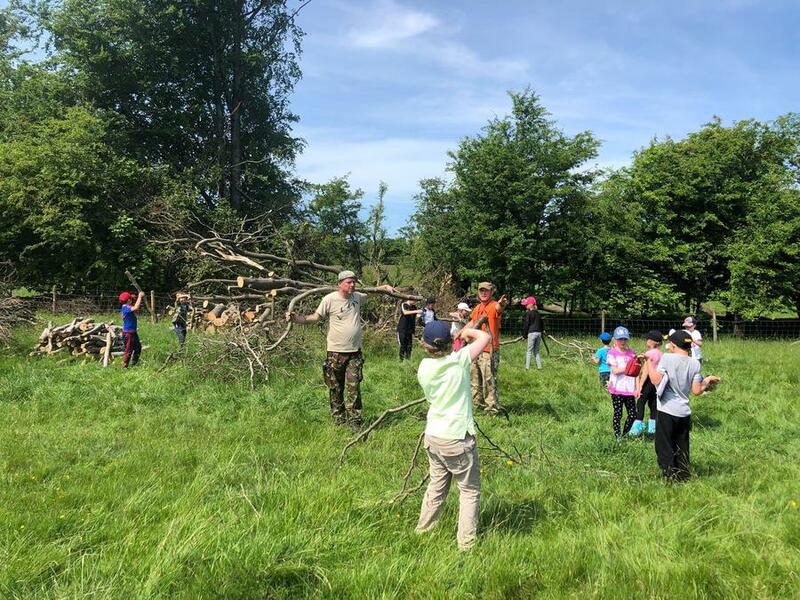 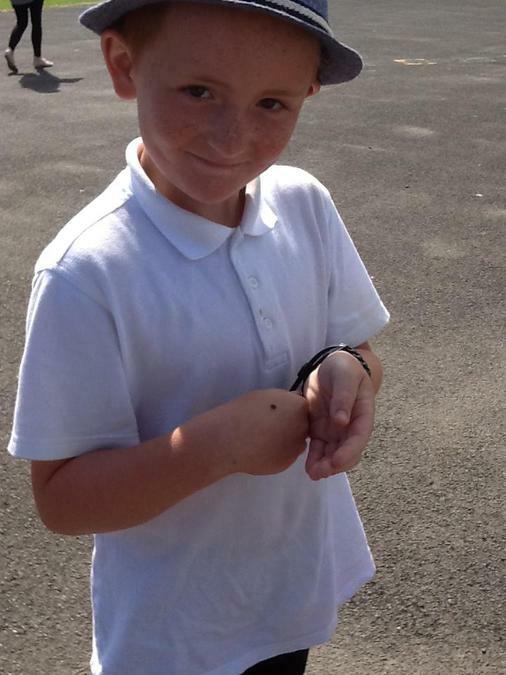 On Thursday, Year Four along with the rest of the school enjoyed the Outdoor Classroom Environment with a variety of activities which included, food preparation, cooking, tasting, bug hunt, flower and plant hunting, sketching, paper aeroplane construction and flight. 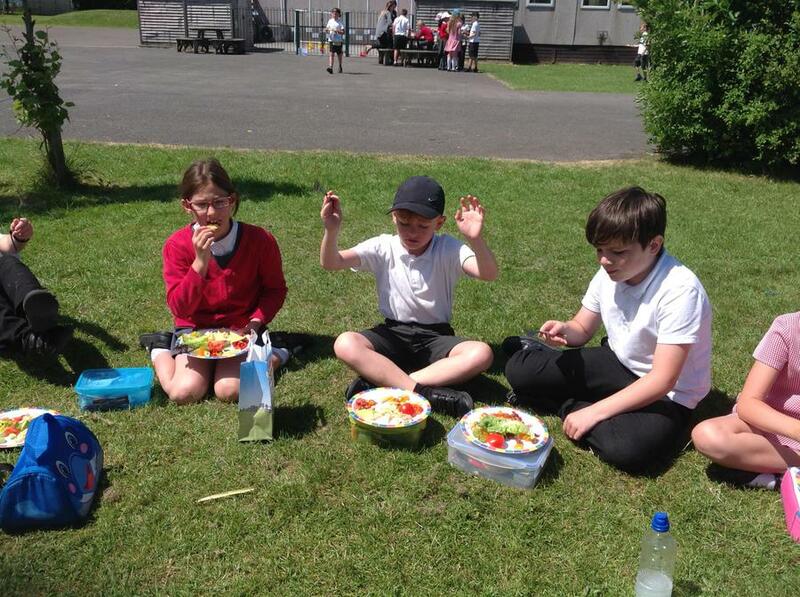 We even enjoyed our lunch outside. 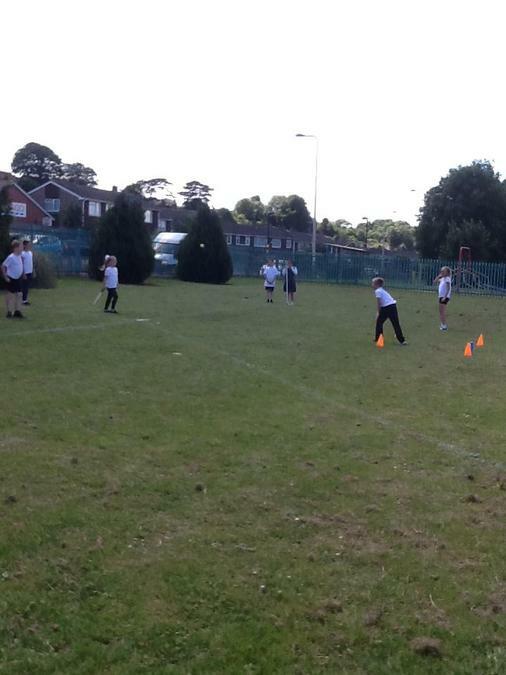 We ended the day with an afternoon of sports. 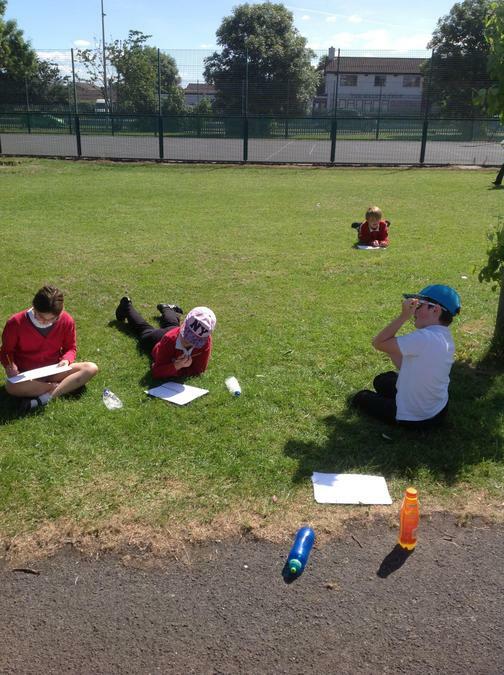 What a BRILLIANT day in the sun! 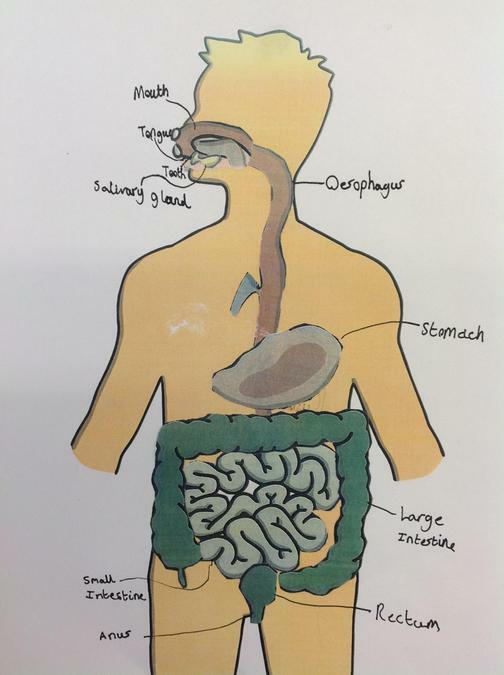 We have been working hard this week in science, talking about the digestive system and finding out how our food turns to faeces. 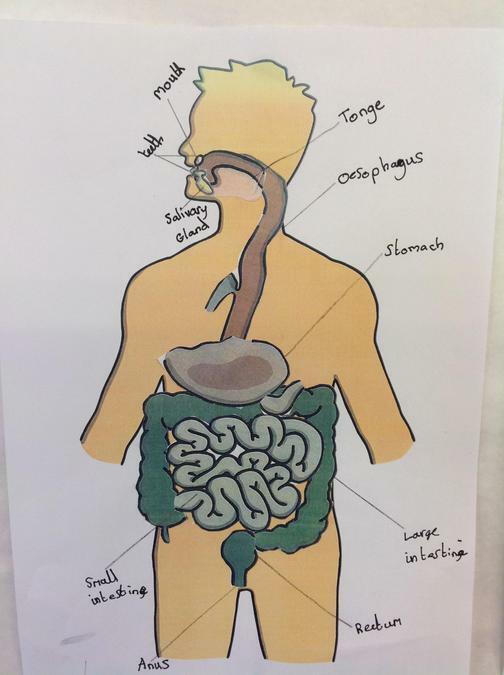 Learning about and labeling all the different organs that make up our digestive system. 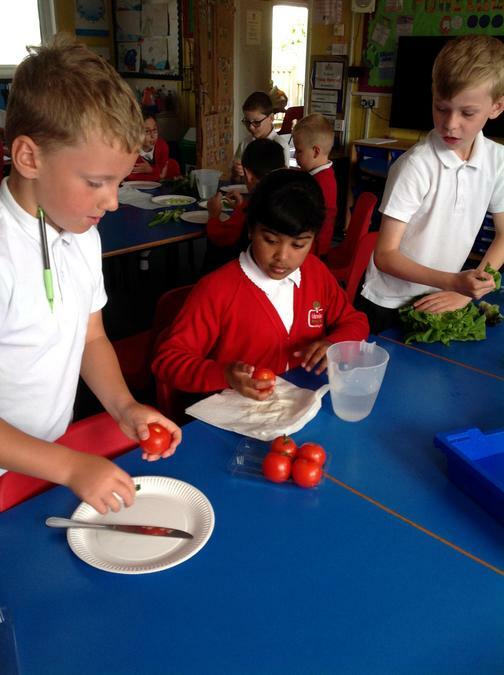 We will be making our very own models to show the process that the food goes through before turning into faeces. 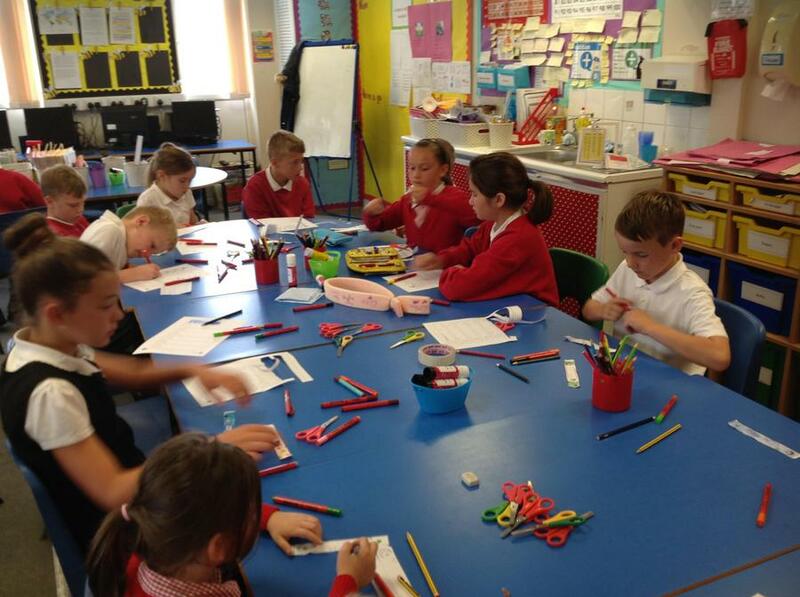 We hope you all had a lovely half term, in Year Four this week we have been super busy getting back to work. 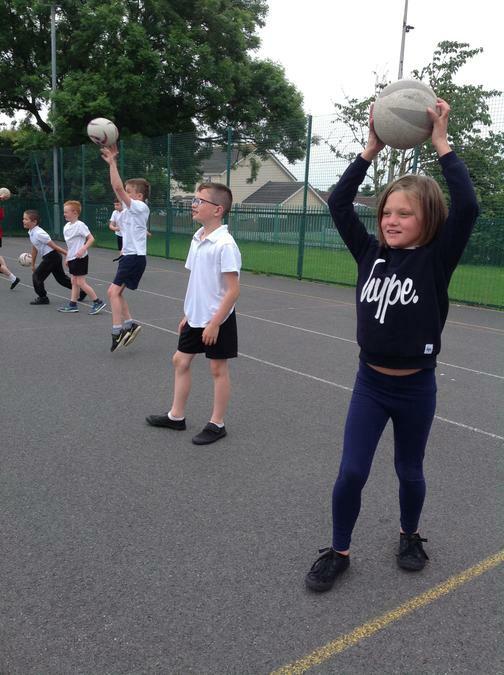 In PE this term we are working on our netball skills and we thoroughly enjoyed getting started with that this week, working on our passes and footwork. 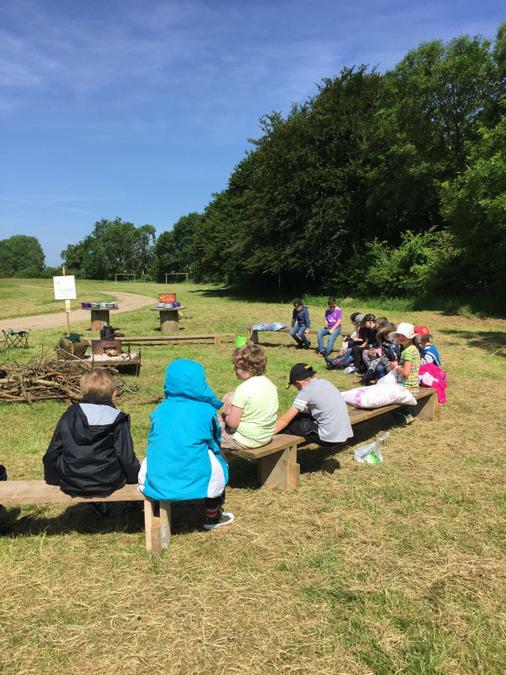 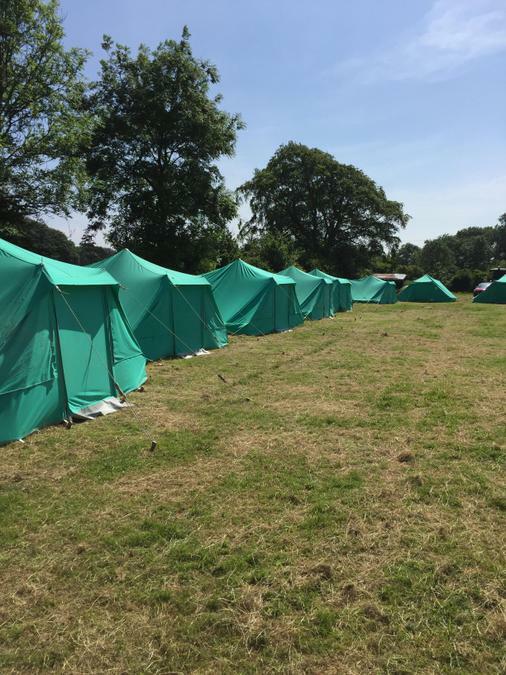 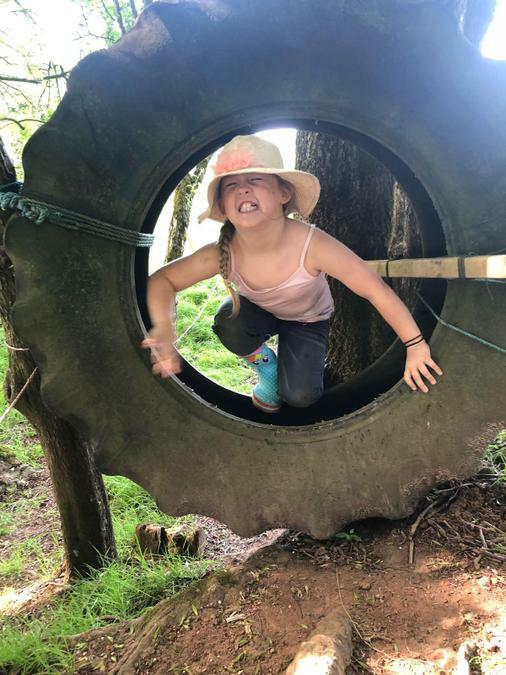 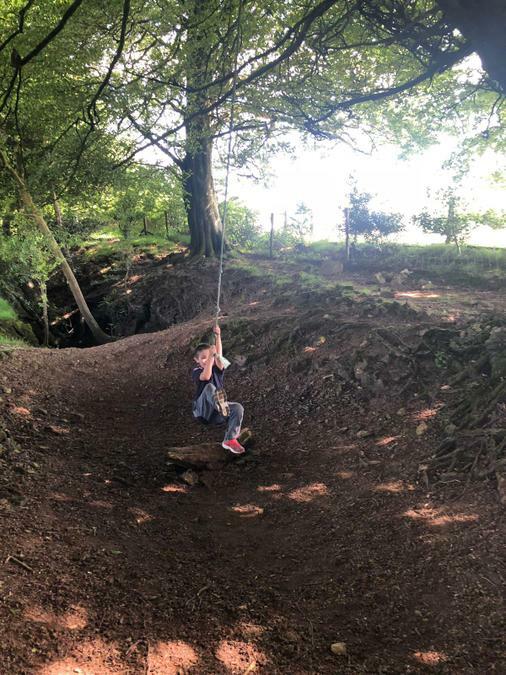 The year 3/4 children had the most amazing time at Camp, we stayed on a farm at the top of the Mendips. 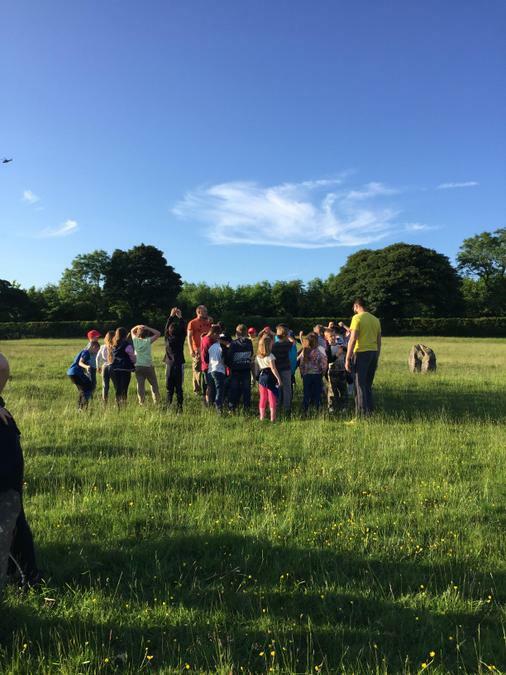 We were so lucky with the weather, on our two day trip we got up to all sorts. 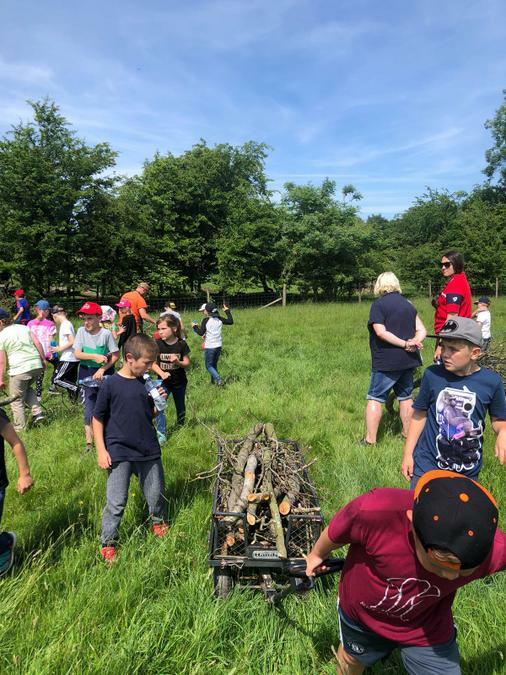 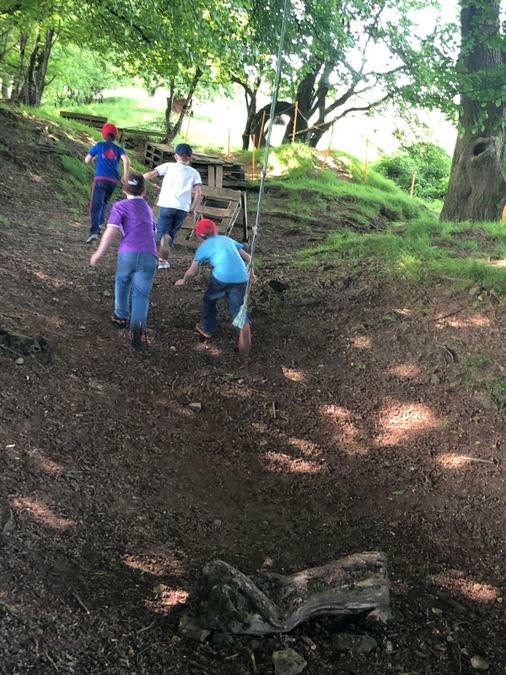 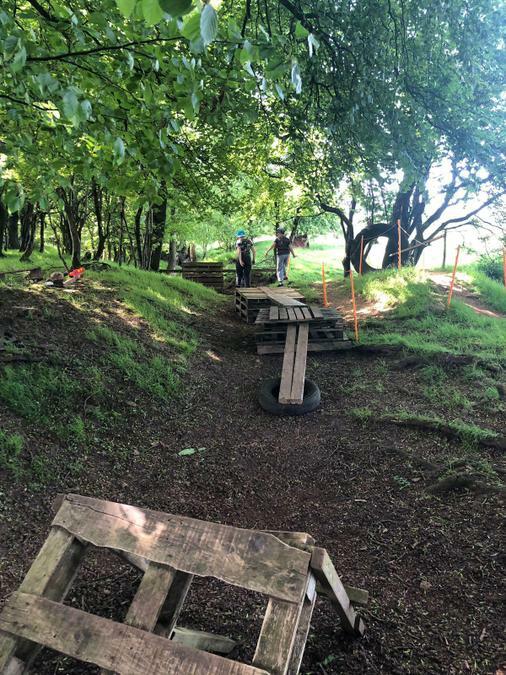 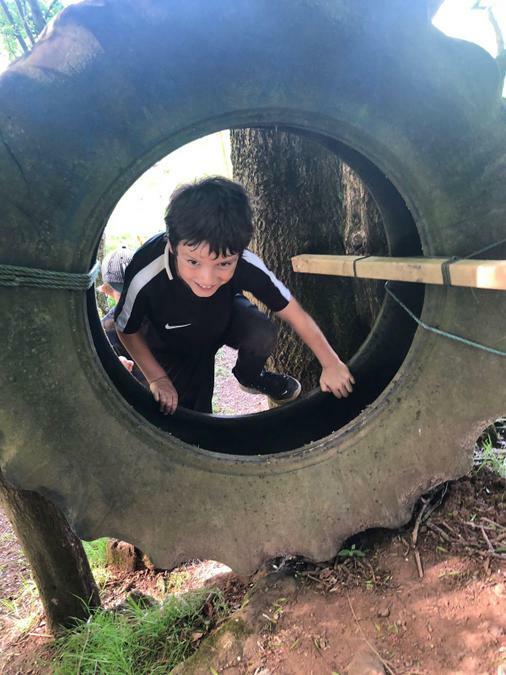 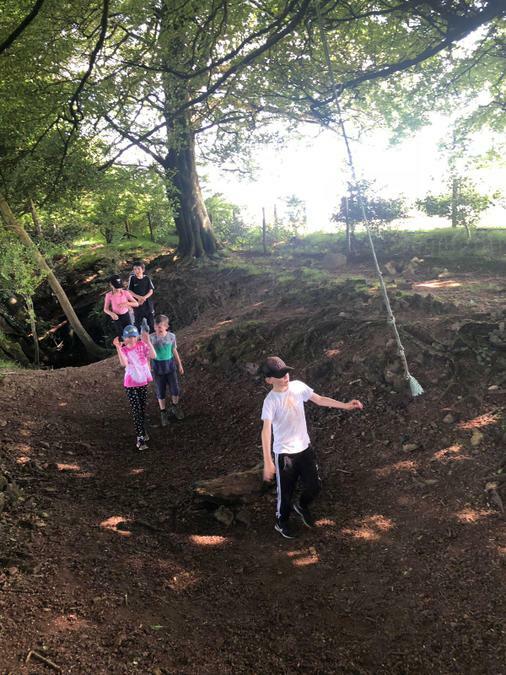 The assault course, team building games, collecting fire wood, eating dinner around the camp fire, sharing tents with our friends, taking part in a talent show, enjoying hot chocolate by the fire and we even had a big water fight with all of our teachers!! 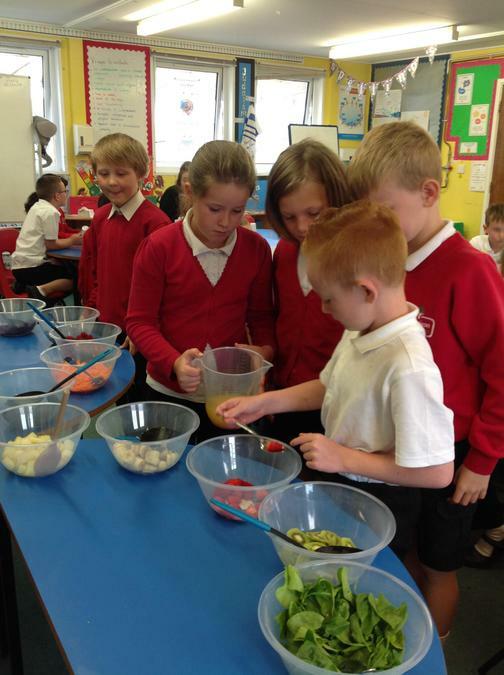 On Tuesday morning, we arrived into the classroom to see bowls of fruit and blenders at the back of the room. 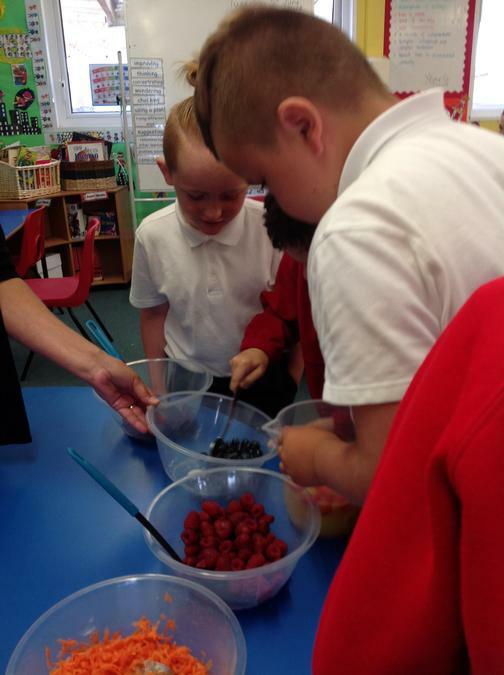 Two ladies from Chartwells our catering company had come in to tell us all about making smoothies and all the healthy ingredients we could use. 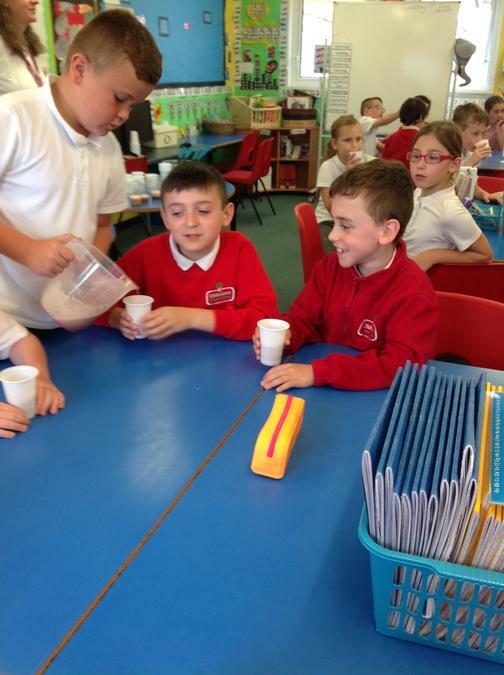 We worked in small groups to choose ingredients and make our own smoothies, they were delicious!